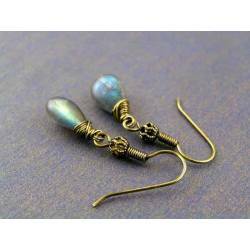 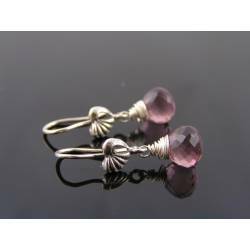 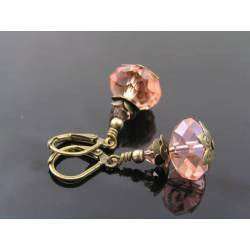 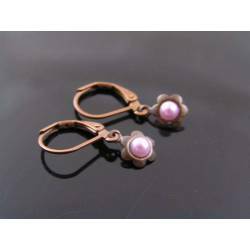 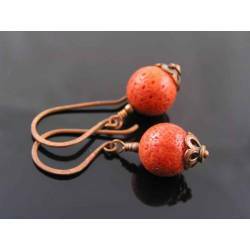 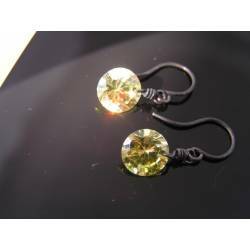 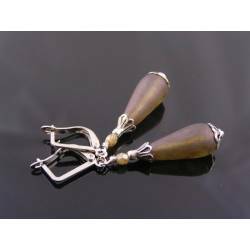 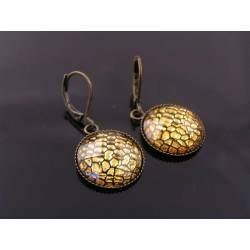 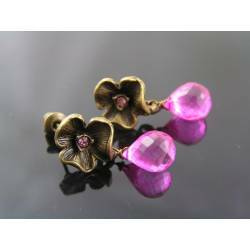 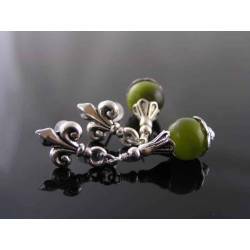 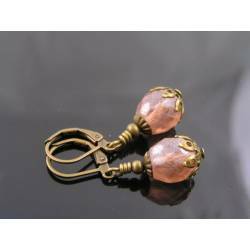 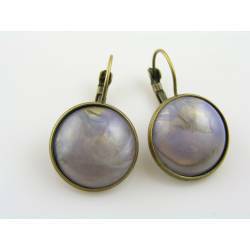 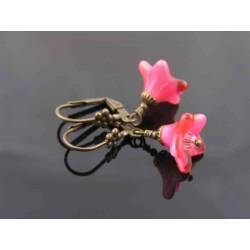 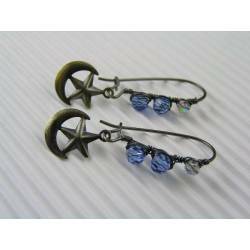 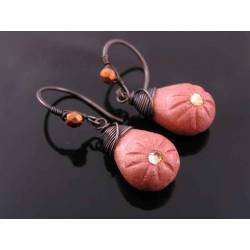 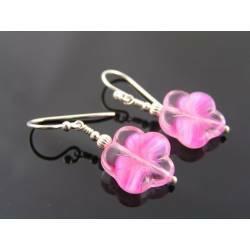 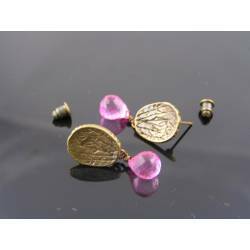 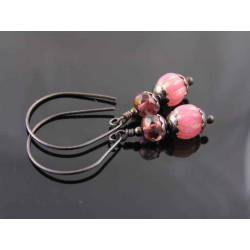 These style earrings are available in lots of colours. 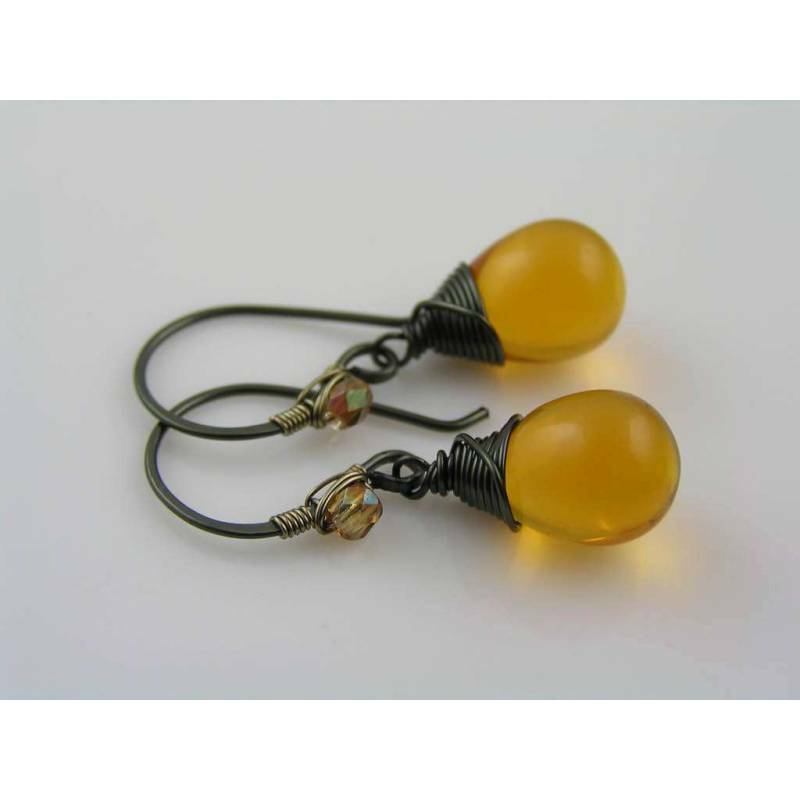 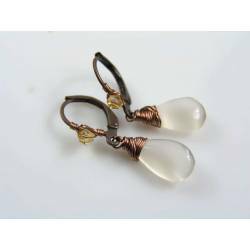 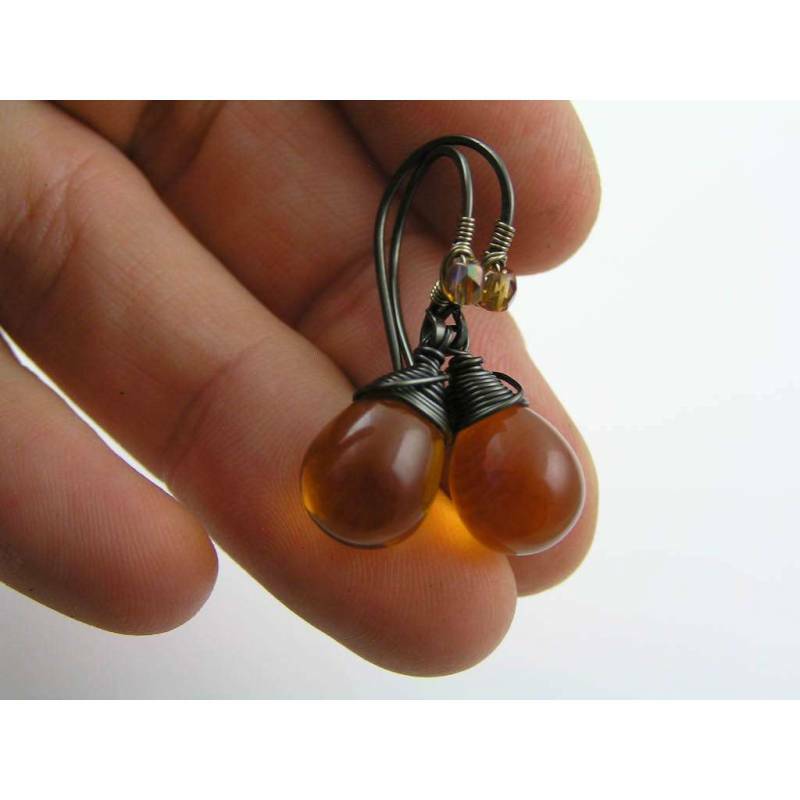 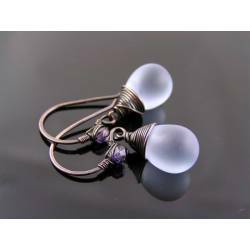 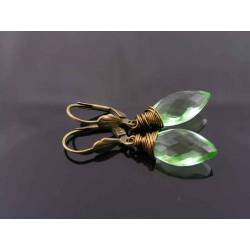 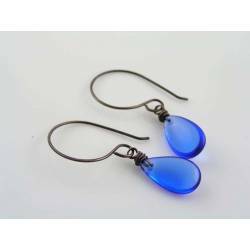 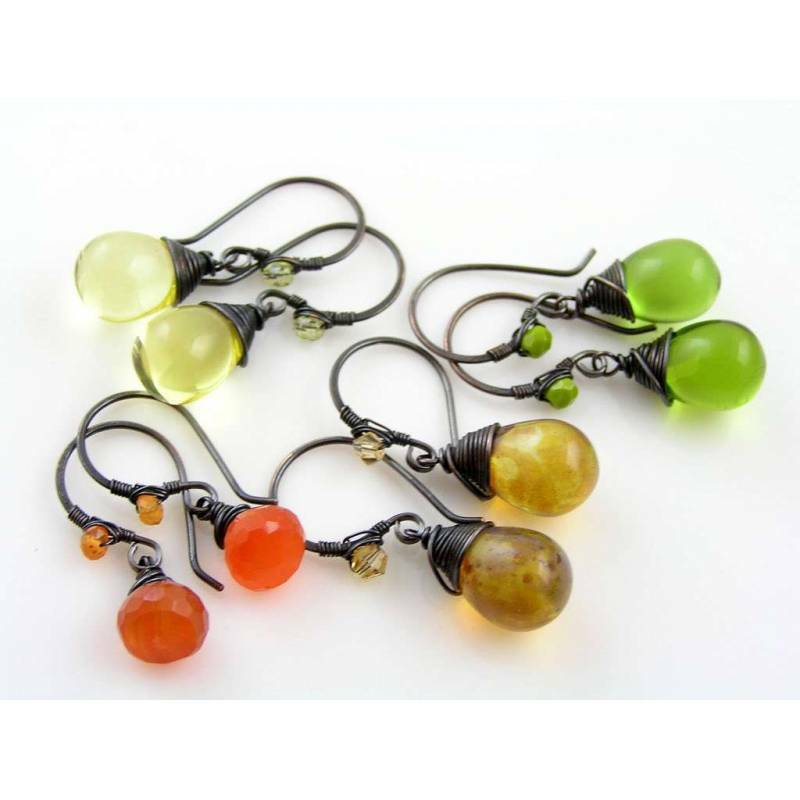 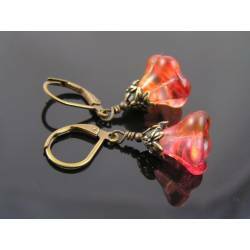 I wire wrapped these smooth, glowing Czech glass teardrops and attached them to handmade, wire wrapped ear wires that sport a matching glass bead. 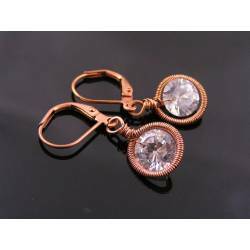 All metal is copper wire with a gunmetal finish. 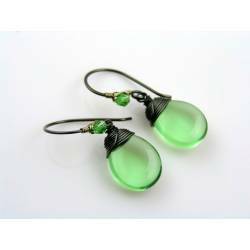 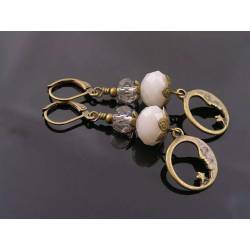 All my French ear wire earrings come with clear rubber stoppers to prevent loss.